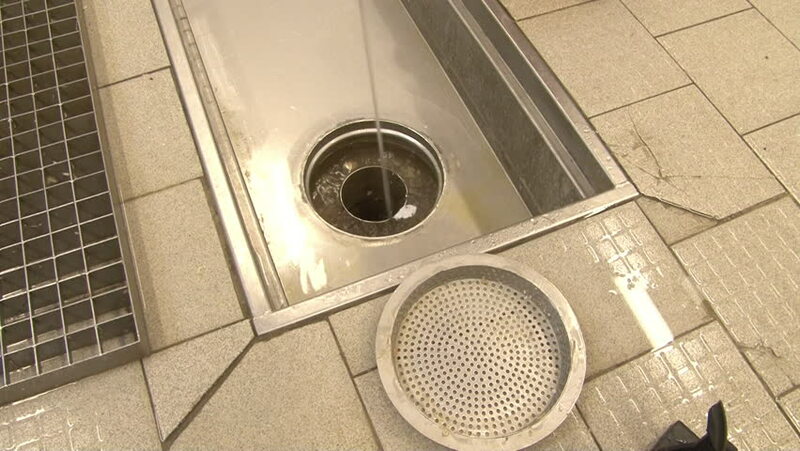 hd00:15Cleaning drainage system from remnants of food and dirt. Application of disinfectant solution. Washing of premises and equipment in food industry, supermarkets, warehouses with food and other places. hd00:22Clean meat shop in different ways. Cleaning of premises and equipment in the food industry, supermarkets, warehouses with food and other similar places. 4k00:11Strong stream of water flows from the tap. Close up. Camera movement from top to bottom.